Portfolio Property Investments (PPI) is going all out in support for the Extra Mile initiative. 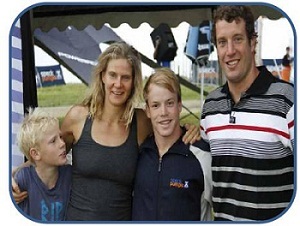 The initiative which was first piloted by the READ-group and the QuadPara Association KZN through the 2012 Midmar open water swim of Jill Hanass-Hancock . In this event Jill an academic and senior researcher on HIV and disability used her swimming talent to help raise awareness and much needed support for people with disabilities in KwaZulu-Natal. She has now been joined by two disabled champions Sebastian Crawford and Justin Clark. After a resounding success at the 2012 Midmar Mile, in which Jill not only won the winning trophy for the Midmar mile, event five, ladies 30 and over category, but also managed to gather 170 mile dedications which raised sufficient funds to purchase four wheelchair and support the salary for a physiotherapy assistant who reaches out to 65 children a month, PPI decided that this initiative needed further support. Since then PPI sponsored the Extra Mile website which can be found at www.e-mile.org . In dedication to the Extra Mile initiative Jill went on to swim in the United States open water swimming event under the Brooklyn Bridge in New York city in which she won the overall ladies division which was broadcasted on prime New York TV time (http://www.allmediany.com/news/5132-500-new-yorkers-compete-in-annual-brooklyn-bridge-swim). Together with the new Extra Mile lead swimmer, Sebastian Crawford, she is now preparing for Midmar 2013 which we hope will also be a resounding success. The Extra-Mile team is also supported by a disabled swimmer Justin Clarke CEO of Private Property who will also be swimming in support of people with disabilities. 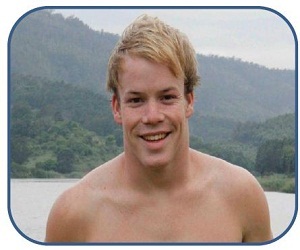 Jill and Justins swim will ambassador the efforts of 19 year old Sebastian Crawford, an ex Westville Boys High student, who despite his disability swims as fast as a fish and holds our Paralympic hopes for 2016. He has taken over the role as the lead swimmer for the initiative and we are sure we will hear much more of this very talented and courageous young sportsman. The Midmar 2013 swim will raise awareness for disability in KZN but also funds for assistance devices for people with disabilities as well as for rehabilitation of children with disabilities. PPI Financial Director Yianni Pavlou says: ‘This initiative is something that other corporates should support as well. It is not just a fantastic team building event but also directly reaches those who it is intended to support. A small effort from our side has resulted in a big difference in other people’s lives. This is something that PPI is extremely proud to support and we hope that by joining forces with other corporates we will make an even greater difference. Look out for the PPI Extra Mile swimmers at the next Midmar Mile 2013 team event. We will be positioned at the finish line, at our table, together with The Extra Mile team as we try gathering further support and mile dedications.